Peacock Alley Lyric Sheets - Swatches may be available. 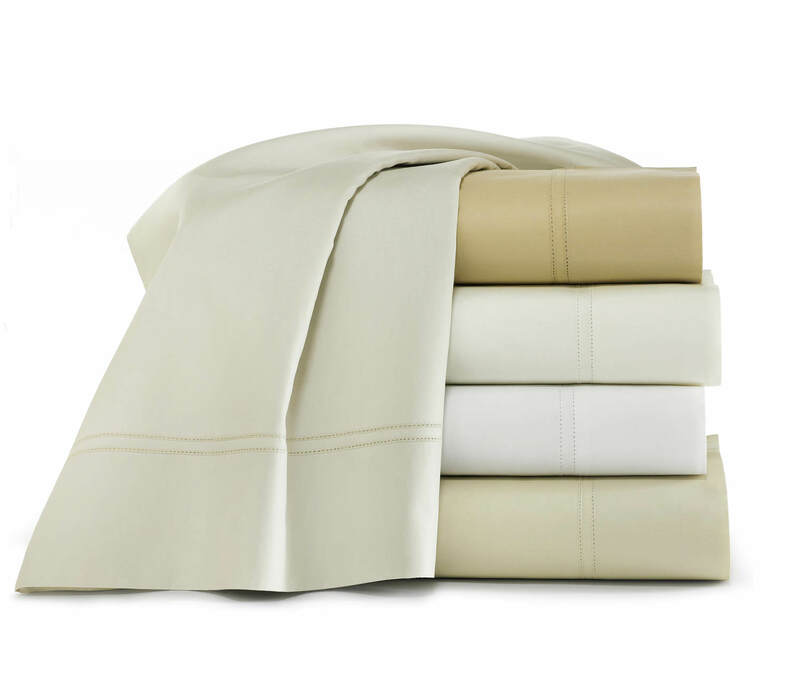 Percale with double row of hemstitching in sheets, cases, and shams. 500 Thread Count, 100% extra long staple cotton percale. Imported, machine washable. 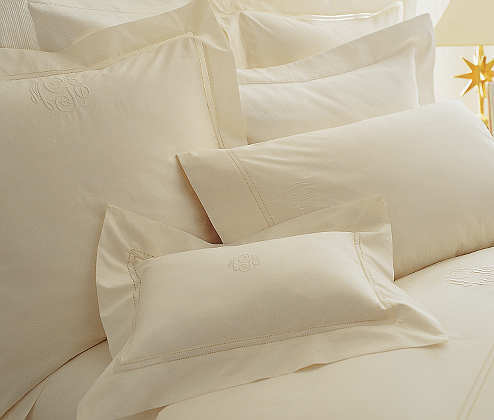 Duvet covers have a knife edge finish on all 4 sides with a button closure on the back. Duvet covers do not have the hemstitch detail. 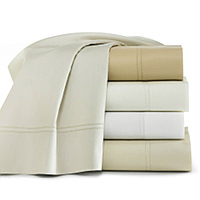 Flat sheets and pillow cases have a 4" cuff. 17" gusset without any detail. 3" flange on all 4 sides and with an envelope closure centered on the back..